I’ve been whipping on the Climax all summer and fall, and still have yet to trim an end, which to me is as amazing as a car that never needs its gas tank filled. Normally I shy away from ropes that lack dry treatment because I find them to be less durable than their dry-treated counterparts. 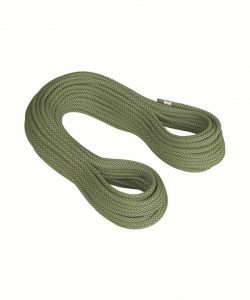 My opinion has changed with this new budget-priced rope, the Mammut Climax, a 9.6 mm cord that lacks dry treatment. I’ve been whipping on the Climax all summer and fall, and still have yet to trim an end, which to me is as amazing as a car that never needs its gas tank filled. This rope is surprisingly durable, especially for being a trim 9.6 mm. For the record, you can’t judge a rope by its girth—I’ve been testing 9.2 mm ropes that seem twice as durable as 9.7 mm ones. 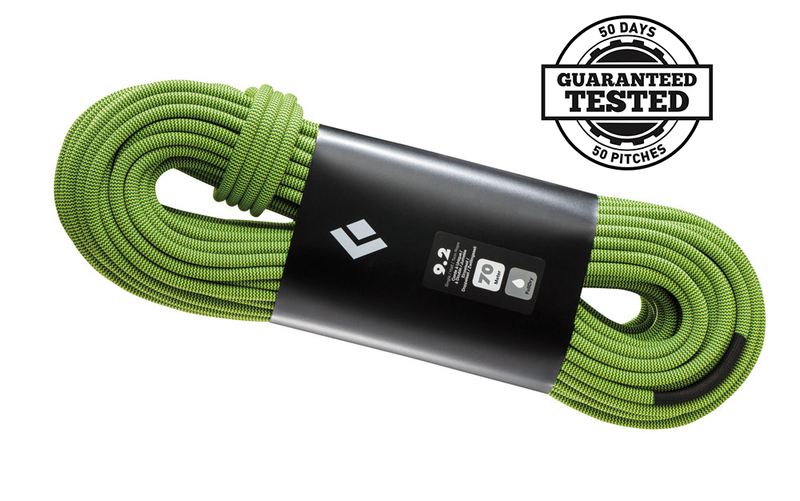 Much of a rope’s durability comes down to how well it’s made, its stiffness and weave. The Climax doesn’t seem prone to kinking (at all), thanks to Mammut’s Lap Coiled technology that packages ropes sans tangles. Knots tie and untie well. It handles well through a Grigri and clips easily to biners. Plus, I think it gives a pretty soft catch. The Climax isn’t the lightest rope around, weighing 64 grams/meter, nor is it the sexiest. But it’s just what I want in a partner: cheap and resilient enough to put up with me and my never-ending failures. 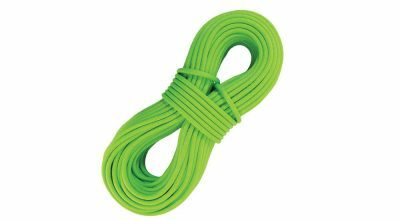 • Comes in 60-, 70-meter lengths. • Best uses: sport, trad, gym climbing.